Sarah Gambito and Joseph O. Legaspi were sitting in a hammock at a big, Filipino family gathering. Surrounded by food, love, and comradery, the two friends came to a realization: We need this in our literary lives. Right then and there, they agreed that Asian American writers needed a place to find family—and they were going to create that space. While Gambito and Legaspi may not have necessarily set out to alter the literary landscape by creating Kundiman, that’s exactly they did. 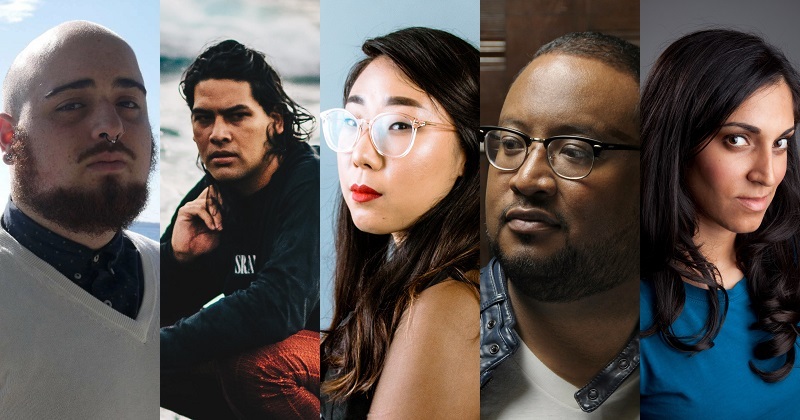 The heart of Kundiman is the summer retreat, which brings in new fellows each year—with attention to diversity in ethnicities, identities, genre, and style—to study with established APIA writers. That’s where fellows most readily find the literary family Gambito and Legaspi dreamed of in that hammock. And today, these fellows have collectively published more than 200 books of poetry and fiction. They’ve garnered top awards, teach in writing programs around the country, and are working in their communities as teaching artists and organizers. 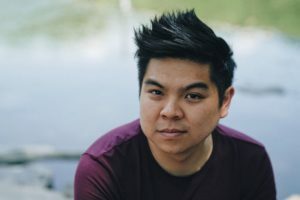 As Kundiman celebrates its 15th anniversary this week (you can still get tickets to their fabulous NYC gala), we’ve got a list of 15 Kundiman writers whose work—on and off the page—celebrate and foster community and family. 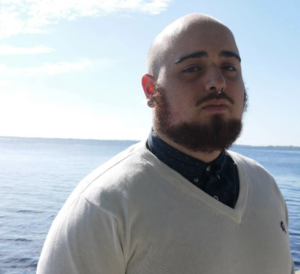 Palestinian-American poet, author, activist, and bioengineering PhD candidate George Abraham’s work is as necessarily complex as it is clear in intensity and purpose. As one reviewer noted regarding their use of the colonizer’s language: “Abraham masterfully takes over the English language, as well as the English poetic tradition, to deliver a profoundly diasporic Arab narrative.” Holding multiple consciousnesses and homes within them, Abraham queers language, crosses borders, and moves their readers/listeners profoundly. 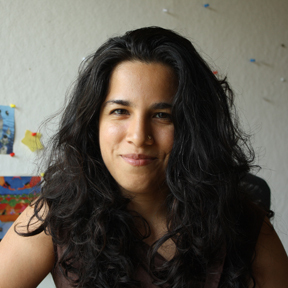 They have two new works forthcoming: Birthright from Button Poetry and a hybrid poetry/art chapbook with artist Leila Abdelrazaq the specimen’s apology from Sibling Rivalry Press. Maybe you know Asghar as the writer and co-creator for the Emmy-nominated web series, “Brown Girls.” This groundbreaking show about the friendship between women of color in Chicago has been delighting all of us queers of color—and it promises to get an even wider audience, having been picked up last summer by HBO. 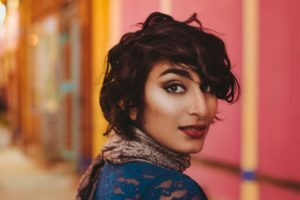 But you should also know this poet and performer for her “brutally beautiful” poems that explore the complexities of being a woman, immigrant, an orphan, of having a brown body that breaks and heals. Her debut book of poems, If They Come for Us from One World/Random House, is on shelves now. There’s no hiding in a Jason Bayani poem. You come for tough love, for straight talk on what it means to navigate American culture as a Filipino American man, for the painful wrestling of ancestral and personal memories. And you’re rewarded with brilliant flashes of what personal and societal transformation can look like. 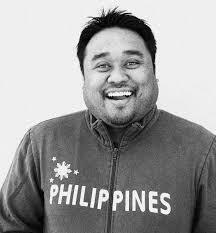 Bayani’s not only a talented poet, he also helps foster the Asian American arts scene in San Francisco as the artistic director of the Kearny Street Workshop. Keep an eye out for his second book of poems, Locus out next year from Omnidawn Publishing. 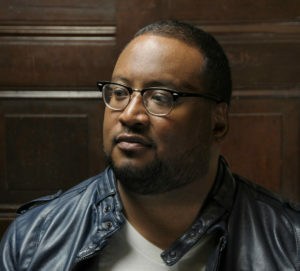 Brown explains the genesis of his latest collection of poetry, ICON: “My complete name is Frederick Douglas Brown. How could one named after such a remarkable figure avoid it?” Taking this challenge head-on, Brown considers and re-considers role models and heroes through musical and deeply moving poems. A committed educator for more than 20 years, Brown is also the co-founder and curator of “un::fade::able-The Requiem for Sandra Bland,” a quarterly reading series examining restorative justice through poetry as a means to address racism. Chen doesn’t so much write poems as alchemically weave text that stitches itself into the seams of your body, demanding a visceral response. “Tell me a fragment, show me a secret ingredient slipped between gaps of memory,” they demand. Sense and meaning in their work comes not from linear logic but from gut logic, heart logic: the logic of resistance and revolution long practiced by queer folks and people of color. 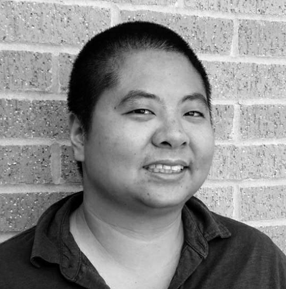 A writer and a community organizer, Chen recently won the Transgender Poetry Lambda Award for their latest collection, recombinant. We’re waiting with anticipation for Choi’s latest poetry collection, Soft Science, to be released by Alice James Books next year. Like the rest of her work, expect it to be smart, funny, rigorous, and deeply invested in shaking things up in order to build a different world. 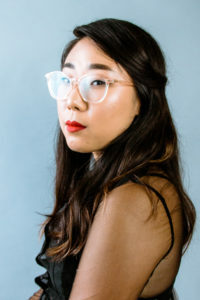 This “queer, Korean-American poet, playwright, teacher, organizer, pottymouth, GryffinClaw, and general overachiever” makes a lot of things happen, including the Brew & Forge Book Fair, which brings together poetry readers and writers to build capacity in social justice community organizations. Doan finds enormous pleasure in the beauty, imagination, and most importantly, flair in the work of his favorite soccer players and his favorite poets. Lucky for us, his own work sparks with those very same qualities. 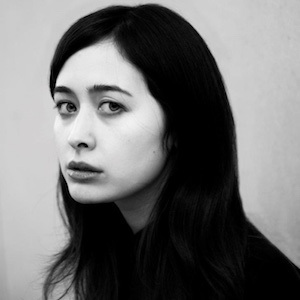 Doan’s first collection—a deceptively quiet meditation on violence, gender, desire, and belonging—We Play a Game, won the Yale Series of Younger Poets prize in 2017. As an educator, Giles lives for “the first time someone opens their mouth and believes in the power of their own story.” As a seasoned performer, Giles channels their own power and stories to take audiences for harrowing, heart-wrenching, and redemptive rides. Giles is an international and national Underground Poetry Slam Champion from Honolulu, Hawai’i. 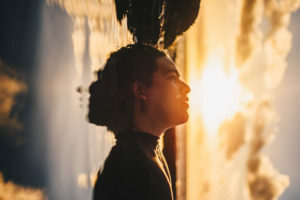 Their finely crafted poems build on the oral traditions of Polynesia to take on contemporary issues of immigrant identity, colonization, representation, and masculinity. Our stories are our own; we must tell them or others will create alternative narratives—often false, often harmful. 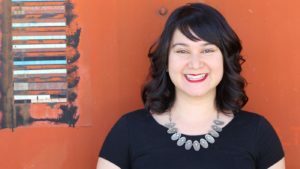 Formerly undocumented and a fierce organizer for Undocupoets, Joseph has honed her storytelling across multiple genres as a poet (her collection Driving Without a License won the 2014 Kundiman Poetry Prize), essayist, and librettist. Joseph’s work weaves her own truths and luminous stories within today’s anti-immigrant and racist contexts. And by so doing, she helps us become clearer on the work we must do to shape this world into a different story we all can tell. Lyrical and devastating, Moon’s poetry might leave you a little broken. I think of it as an invitation to abandon what keeps me comfortable, to loosen any fixed understandings of identity I might have, and to accompany Moon more authentically as she navigates society. As she explains: “I was born in India and adopted into a white, Southern family. 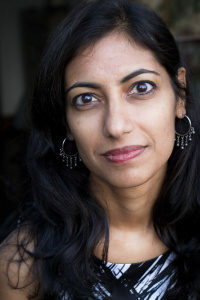 From an early age, I learned that ‘belonging’ meant complicating traditional narratives.” She is at work on a second collection of poetry that examines adoption, infanticide, and women’s rights in India. 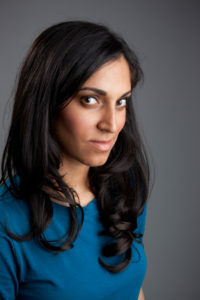 Shah writes with revelatory honesty about memory, racism, love, and community. Her essays read like a heart-to-heart you might have with your BFF, while her stories beautifully evoke longing, lacunae, love. And across genres, her work is embodied—visceral and intimate—so it comes as no surprise that her pedagogy as a teacher is informed by meditation and movement traditions. “Writing is a physical act and these experiences and practices fundamentally altered my approach to writing and teaching,” she says. 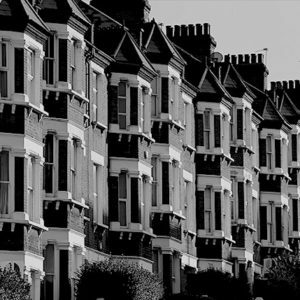 What does it mean to be “foreign”—in a place, to oneself, within the world? That word and its weight figure in both Shepard’s memoir title (The Girl from Foreign) and her debut short story in the New Yorker (“Foreign-Returned”). No wonder: the Pakistani-American writer and documentary filmmaker’s work interrogates questions place, loss, and identity. “I’m absorbed by the narratives we carry with us and how they inform and shape who we are, as well as by the idea that our migrations are not always linear paths from old country to new country but in fact a navigation, or a re-navigation, of multiple trajectories,” she says. 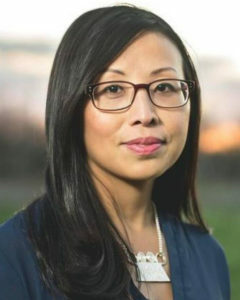 Vang’s Afterland won the 2016 Walt Whitman Award of the Academy of American Poets, was longlisted for the 2017 National Book Award in Poetry, and was a finalist for the 2018 Kate Tufts Discovery Award. So if you haven’t yet picked it up, do yourself a favor and dive into Vang’s poems about the aftermath of the U.S. “Secret War” in Laos and its effect on the Hmong people. “How does one memorialize a failed war that most people don’t even know about or would rather forget?” she asked in a New York Times Op Ed. Her acclaimed poetry debut, (“among the most satisfying débuts by an American poet in some time”) is a powerful, skillful, and devastating answer to that question. 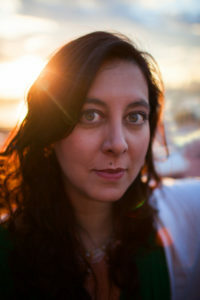 Tamiko Beyer is a poet, freelance writer, and author of We Come Elemental, Dovetail (co-authored with Kimiko Hahn) and bough breaks.